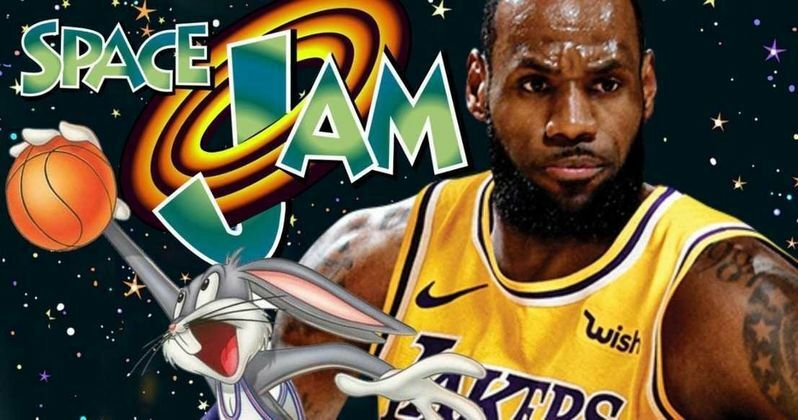 LeBron James is reportedly having a hard time trying to find other NBA stars for Space Jam 2. James famously moved out to California to get into the entertainment business and started playing with the Los Angeles Lakers. Landing the Space Jam sequel is a huge opportunity, but apparently some of the bigger NBA stars don't feel that way. Michael Jordan starred in the first installment and he was able to get Charles Barkley, Larry Bird, Larry Johnson, and Patrick Ewing. For the first time since 2005, LeBron James isn't participating in the NBA playoffs after the Lakers were eliminated from postseason contention. This gives the basketball player and actor some extra time to hunt for some NBA friends to join him in Space Jam 2. However, according to sources, James is having a hard time finding anyone to join the cast with him. As for a reasoning why, that is unknown at this time. There are a few ideas floating around why certain NBA stars don't want to jump into Space Jam 2. For starters, basketball is arguably the biggest it's ever been, meaning players don't really need to boost their profiles. Secondly, players are fiercely competitive and might not like the idea of getting dunked on by LeBron James, even in a fictional movie co-starring monsters. Some players today probably just don't feel the need to do it, which is understandable. Even with James' name on it, there's still potential for the sequel to not live up to the success of the first installment. Another reason why certain NBA stars don't want to be a part of Space Jam 2 is because of when production is due to start. Shooting is expected to begin this summer in California, which means some players would have to travel during one of the biggest training periods for basketball, a time when some players really like to practice and refine their skills to make it to the NBA playoffs next year. Regardless, it doesn't look good for the sequel if LeBron James is already having trouble finding people to be in a giant Hollywood production. Terence Nash is behind the camera for Space Jam 2 and Black Panther director Ryan Coogler on board as a producer. With this much talent in front of and behind the camera, LeBron James should have no problem finding players to take part in the sequel, which means these sources could be inaccurate. Whatever the case may be, we should find out soon since cameras are preparing to roll. James has plenty of time to practice his lines and work on his acting chops before production actually fires up. It's going to be very interesting to see who James is able to convince to join him. The Space Jam 2 news was first reported by Chris Montano's Twitter account.